Preheat oven to 425 degrees F (218 C). Blend all ingredients in an electric blender until smooth. Grease mini muffin tin cups well with butter or oil. Preheat muffin tin for several minutes. Pour in egg mixture. Bake for 15 minutes or until middles of popovers test done. If using a regular muffin tin, allow more baking time. Carefully remove popovers with a knife or spoon. Serve warm. I share recipes here and at Allergy Free Wednesdays and Savoring Saturdays. I really need to get on some Tapioca Flour!! 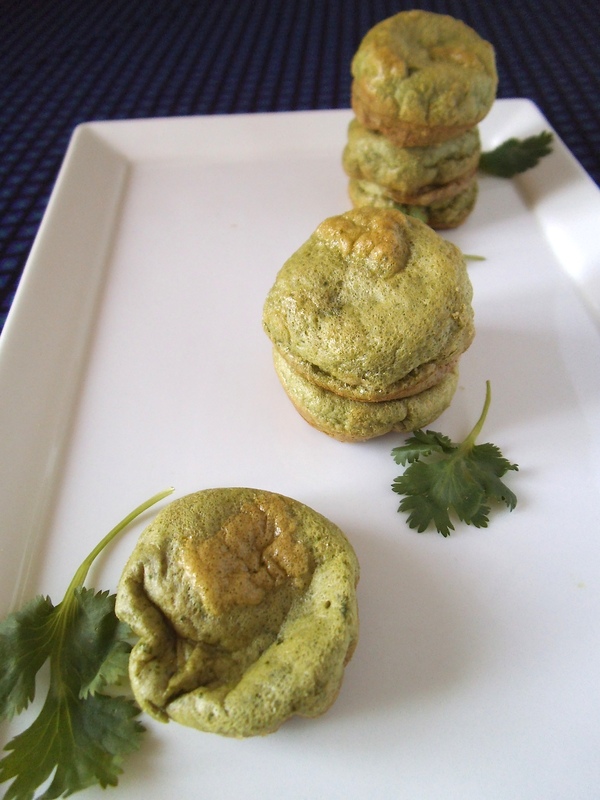 I had not made popovers in ages, but the cilantro did add a nice flavour and colour. What flour do you use to make yours? I hope you enjoy the popovers. Next time I ‘m going to try them with a little cumin. Yum! I am a cilantro lover 🙂 Can’t wait to try! I love the idea of cilantro popovers- I ALWAYS make standard popovers… so deliciously boring 🙂 I need to branch out! Thanks, Karen! I wish everyone in my family enjoyed cilantro as much as I do. I do have at least one ally here though. 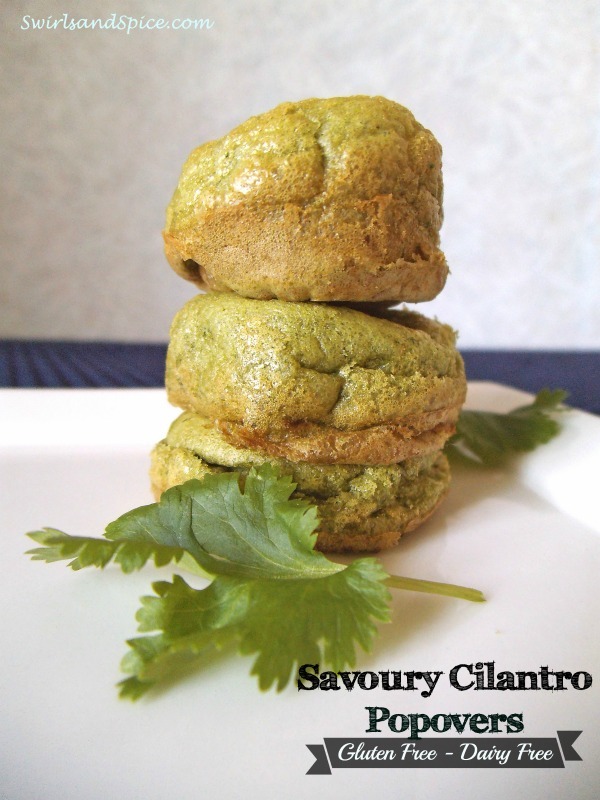 I love cilantro, so these are definitely going on my “must try” list. 🙂 Thanks for sharing them at Savoring Saturdays! I’m going to feature them at this weekend’s party – hope to see you there! I can image that these would go really well with a nice bowl of soup. Thanks for linking up to Sweet and Savoury Sunday, stop by and link up again. Have a great day! !